1.There are 8 Classic Goddesses and 1 Legendary Goddess in Lordsroad. 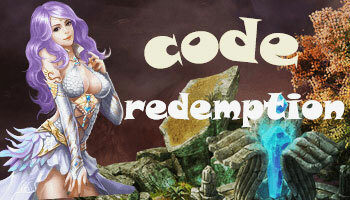 2.Player can get perfect attribution from goddess, so please upgrade all your goddess. Skill: Massive attack -- Deals 100% damage to all targets, 5s CD. 2>Maria: I am the goddess of night! Skill: Envenom -- Deals 5 seconds poison damage (150% per second) to single target, 10s CD. 3>Nemesis: I won’t waste time with weak person. Skill: Armor piercing -- Reduces 20% DEF to single target for 5 seconds, 10s CD. 4>Victoria: Hey, you look a little bad. Skill: Critical hit -- Deals 200% damage to single target, 5s CD. 5>Chione: I will be a good partner. Skill: Slow -- Reduces 50% moving speed to single target for 3 seconds, 10s CD. 6>Minerva: You are not alone. Skill: Exhaust -- Reduces 50% damage of single target for 3 seconds, 10s CD. 7>Athena: Let me show you my blades. Skill: Stagger -- Deals 50% stagger chance to single target for 2 seconds, 10s CD. 8>Venus: Woo~~ You are so bad. Skill: Recovery -- Instantly restore hero’s HP (50% of goddess ATK), 10s CD. Skill: Spirit Storm -- Deals 150% damage to all targets, 5s CD.